The most affordable, Vespa Notte 125 has been launched in India. The 125cc premium scooter is priced at Rs 70,285 (ex-showroom Delhi). 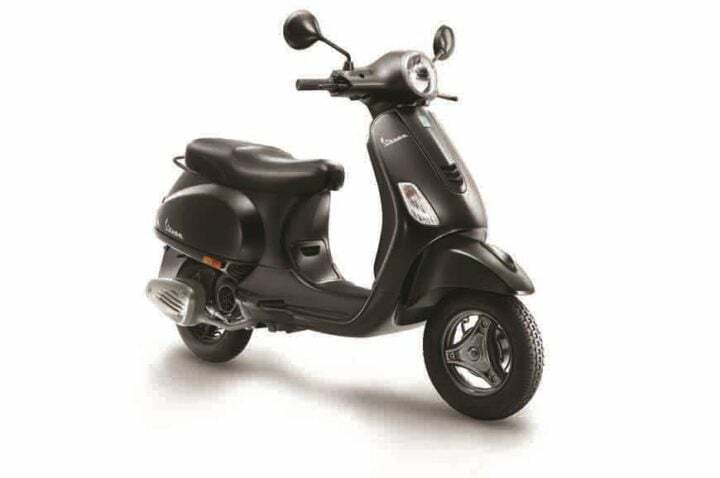 It is cheaper than the current cheapest, Vespa SXL 125 by Rs 4,000. Check out more details on the new scooter in this article. Vespa scooters are modern and revived versions of the old LML Vespa geared scooters. The lineup was introduced in India in 2012. It looked much like those classy Italian scooters cruising down the sea-side road. Now, Vespa has one of the costliest scooters in its lineup, with prices going easily above Rs 1 Lakh. Its entire lineup was much costlier than its competitors, making it affordable only for a fan base. Now, the Italian giant has launched its cheapest gearless scooter in India. The Vespa Notte 125 has been launched in India and is priced at Rs 70,285 (ex-showroom Delhi). It is cheaper than the VXL 125 by Rs 4,000. This limited edition 125cc scooter misses out on some important features. But at this price, it would certainly appeal to people who prefer looks over features. Check out more details of the scooter here. ‘Notte’ in Italian means night. That’s why this scooter gets an all-black treatment. It gets the matte black colour in the body, wheels, brakes, mirrors, seat and grab-rails. However, it misses out on some important features that are generally found in other 125cc scooters. It misses out on the front disc brake and gets drum brakes instead. Also, instead of the tubeless tyres, Vespa Notte 125 gets tube tyres. Any scooter now rarely gives tubeless tyres. The scooter gets a 125cc air-cooled engine. The engine produces around 10 BHP @ 7500 RPM of power and 10.6 Nm @ 6000 RPM of torque. The claimed mileage of this scooter is around 60 KMPL, which means that on a real road test, it could be around 50 KMPL. The top-speed estimated on this scooter is around 90 km/hr. The scooter gets a single side arm front suspension and dual effect hydraulic shock absorber rear suspension. This Vespa scooter weighs around 114 Kgs and gets a fuel capacity of 7 Litres. The fuel capacity is much more than most of the other 125cc scooters. In terms of features, it does not have much. For electricals, it uses Front Halogen lamps and LED tail lights. Earlier, it did not face much competition because of its high pricing and a different fan base. But this Vespa Notte 125 has wandered in the competitive 125cc league. Now, it competes with Ntorq 125, Grazia, Burgman Street and Aprilia SR 125. However, all these scooters get much more features than the Notte.